If you're starting a new PPC campaign, there are alot of things to consider. How can you know which keywords will bring you success? Do you just follow your gut? Hold a brainstorming session? Throw darts at the dictionary? If you want to know how to get your paid search keyword strategy right the first time, this guide will show you how. Case in point, after auditing over 2,000 Google AdWords accounts at Disruptive Advertising, we discovered that only 6% of the keywords a company bids on actually produce conversions and sales. The rest are a total waste of money. Now, you’ve probably heard before that if you’re going to do something you should do it right the first time. Maybe your mom told you this. Take shortcuts when you’re building a house and you’ll be fixing leaky roofs and backed-up plumbing for years. Buy a $500 car and you’ll spend thousands just to keep it running. The same is true of starting a paid search marketing campaign. It takes a little more time, money and effort up front to do things right the first time, but in the long run you save yourself from wasting the majority of your advertising budget. To avoid this sort of heartache, though, you simply need to set up your campaigns right the first time. This guide will help you do just that. I’ll explain where each of these comes into play later, but suffice it to say that most of them have to do with having great analytics. We’ll try to minimize the bean counting, but paid search accounts with high quality tracking have almost 50% higher conversion rates than the average account. If you want your paid search campaigns to perform well, you need great analytics. High quality analysis involves tracking everything. After all, the more metrics you track, the more feedback you will get on what is really working...and what isn’t. Take inbound calls, for example. Tracking calls takes extra effort, but for many industries inbound calls have a higher sale rate and sale value than other conversion types. Furthermore, now that mobile is the primary search device, more and more sales are being made through calls. If you aren’t tracking calls on a campaign that primarily drives phone leads, you could mistakenly assume that one of your best campaigns is a waste of money. A good CRM is even more important, because it allows you to track the success of your marketing campaigns clear through to dollars made on each keyword. Conversions can be good estimators of marketing success, but there’s no substitute for actually knowing where you’re making money and where you’re losing it. Many companies would answer “no” to this question, but these are the same guys with hundreds or thousands of useless, budget-sucking keywords in their accounts. Think of it this way: The average company wastes 76% of its ad spend on meaningless search queries. So, if you spend $5,000 per month on PPC marketing, you’re wasting $3,800 of it. However, if you were willing to spend $250/month on better conversion and revenue tracking and you decreased that wasted spend to 56% (not unrealistic), you’d save $760. Subtract the $250 you spent on analytics and you just made $510—talk about an easy win! Once you’ve got your tracking working well, it’s time for the fun part. Remember when I said how hard it can be to guess which keywords you should use? Guess what? You don’t actually have to guess! This is where your competitive analysis tool comes in. Rather than rack your brains for potential keywords, you can use your competitive analysis tool to identify the keywords that your top competitors are already bidding on. Then you bid on the same words. Good catch. Let me explain. Chances are that along with their useless keywords, your top competitors have also found some real gems (the 6%-ers). These are what you’re after, but to find them, you’ll have to test the entire campaign. Time is important in this step. Cut your test off early and you won’t get enough data to see which keywords are working. Waiting for your keyword data can be frustrating, but it’s a critical part of crafting a high-performing paid search campaign. Now it’s time to sort your catch. This is where you pull the analytics tools out of your belt. Your analytics tools show you which keywords and ads are producing the best results. You’ll do this slightly differently for each metric that you track, but I’ll use conversion tracking on AdWords as an example. Log into your AdWords account, select the “Keywords” tab, and then create a filter for conversions <1. Run the report on the last 8-12 weeks of data (your testing period). AdWords will generate a report telling you which keywords produced less than 1 (zero, in other words) conversions. Scroll down to the bottom of your report and you’ll also be able to see how much money you spent on these unproductive words. For even more detail, you can run the same report for your search terms. Repeat this process for the other metrics you are tracking (calls, ROI, in-store visits, etc.) and you will start to get a comprehensive picture of what works, and what doesn’t. I know I already called spying on your competitors’ campaigns “the fun part,” but this next step is where all of your effort pays off. Once you know which keywords aren’t playing out, tell your inner hoarder to stuff it and GET RID OF THEM! If your results are anything like the average paid search campaign, you will probably be able to eliminate a lot of keywords and free up a lot of wasted budget. The only question is, what do you do now? The money you save by ignoring poorly performing keywords can be redirected to outbidding your competitors on your (and their) best performing keywords. Congratulations! You’ve just stolen your competitors’ top keywords! I know you were hoping that step five would be “rest on your laurels,” and to be fair, if you’ve done everything I’ve outlined so far, you’re already better off than most companies. But why settle for a single victory when you could have a winning season? Now that you have a good analytics infrastructure in place, you can (and should) constantly be updating your campaigns and testing to ensure that they are still effective. You can find new potential keywords by analyzing more competitors’ campaigns or using the top performing queries in your search terms report to generate new keyword ideas. Whatever method you use to update your campaigns, you should be constantly testing and refining your account. In general, I recommend that dedicating 20% of your paid search marketing budget to testing new keywords, ads and landing pages. As you apply these practices consistently, your marketing costs will fall and your effectiveness will rise. Moral of the story? Setting up your paid search campaigns the right way from the beginning takes more upfront time and effort, but it will save you years of grief. Even if this isn’t your first paid search rodeo, you can still get the edge on the competition by upping the quality of your analytics and testing. Remember, you don’t have to worry about beating out your competitors on every keyword…only on the ones that count. Jacob Baadsgaard is a passionate entrepreneur on a mission to help businesses achieve online marketing success. 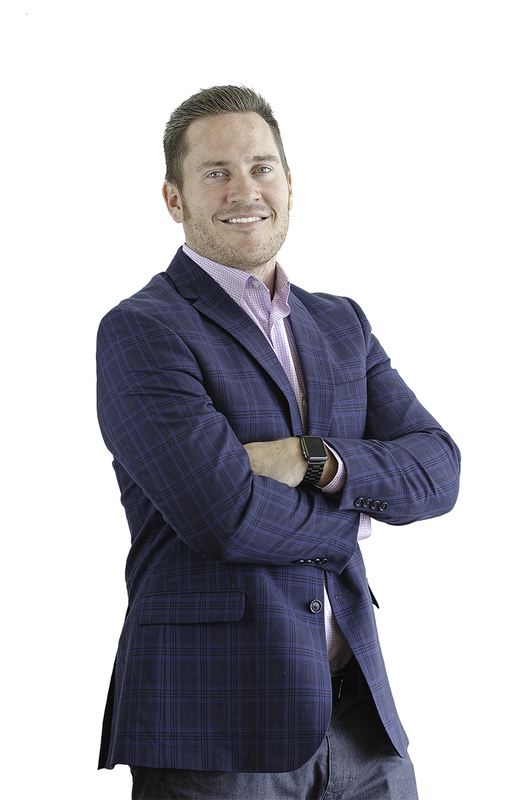 As the Founder & CEO of Disruptive Advertising, Jacob has created an award-winning, world-class organization that has helped hundreds of businesses grow using pay-per-click advertising and conversion rate optimization.